The Lodge Bar and Restaurant Rooms Activities Conservation Is Kizingo for you? We are delighted to be here! Firstly we want to say a huge thank you to Mary Jo & Louis for hosting us and giving us the opportunity. It’s been a fantastic adventure so far and looking forward to what’s to come. This week we have taken guests swimming with reef sharks, running on the mainland, swim to run race on the beach, sailing at sunset, mango shopping from a guy called Mohhamad Ali and catching octopus for dinner. Of course getting stuck into our new hotel life had it’s challenges but where’s the fun in simplicity… we have been making some exciting renovations to the bar and shop, taking bookings, hosting guests, learning the marketing side of the stuff, making activity signs on the walls, adding to the boutique, assisting the chef with new recipes, and repairing rooms…whereby JACK ran through one of the walls!!!! Kizingo has gone above and beyond our expectations already. We still can’t believe Louis built the banda’s himself along with the boys that work here. Not to forget all the materials have been supplied locally or gathered from the beach itself. Mary Jo’s work with 16 local schools has clearly changed the lives of many, yet her modesty meant she hadn’t even told us! A remarkable place with equally remarkable staff and guests. Sammy, our manager & Tom our bar man/Kenyan karate champion have been super, and we continue to learn from them on a daily basis. Hamessi, one of our lads…who just recently had his appendix taken out, joined us for the swim to run, and the 12km mainland run where he suffered discomfort but finished. Not able to swim, he put a life jacket on and got on with the task at hand! OUR KIND OF LAD! This week we will wrecckie new activities including the bushfire camp outs, bike routes on the mainland, 5km beach run, and kids of Kizingo. We have also been informed by our great friends and neighbours, that the kayaking round the mangroves must happen! So we have to do this right?! Staff training will develop with SWIM club happening every week. Any local, Kenyan residents are able to attend. To see the activities we offer please visit our ‘EXPERIENCE KIZINGO’ page. 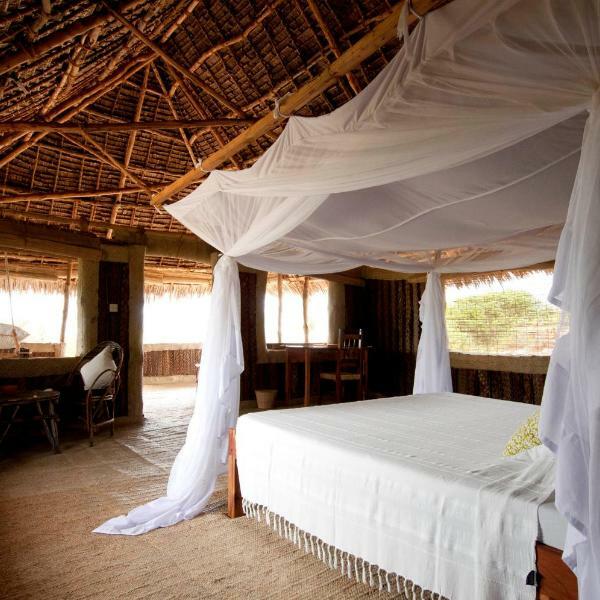 Kizingo is a small beach resort on Lamu island offering tourists, travelers and those on honeymoon the perfect island getaway.